This league is currently in progress and is scheduled to end on April 11, 2018. Cleveland Pinball League is a fun and friendly group for players of all ages and skill levels. Each season runs for 8 weeks, plus a finals event. Play at least 5 weeks to be eligible for finals. Each night of league, players are split up into groups of 4 based on their current league standings. Each group plays 4 games per night with 5/3/2/1 scoring. 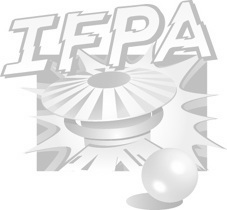 Your best 7 out of 8 weeks will count toward your season total which will be reported to IFPA as the final standings. At that point players will be broken out into skill divisions of 16 players per division for finals day where everyone will compete for cash and trophies! Season 11 starts the week of February 19th, 2018! Registration is $15 for the full season. All league fees go toward trophies and cash prizes!